Wunderlist is the easiest way to manage and share your to-do lists. Whether you’re planning an overseas adventure, sharing a shopping list with a loved one or running your very own business, Wunderlist is here to help you achieve great things. Free Wunderlist alternatives are Any.do, Bitrix24, Producteev, Remember the Milk. If you are looking for self-hosted open-source Wunderlist alternative, pay attention to Taiga and Wekan. 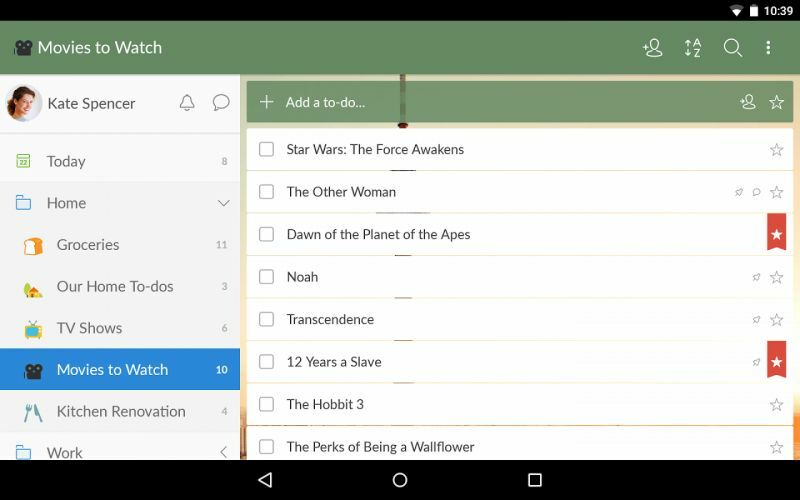 Microsoft has acquired 6Wunderkinder GmbH, a Berlin-based startup behind the Wunderlist to-do list app (for between $100 million and $200 million). The purchase is part of Microsoft’s new effort to enhance its line of mobile apps. Wunderlist apps work on iOS as well as Android operating systems, both of which compete with Microsoft. It has recently started offering the mobile version of Microsoft Office free and acquired two makers of mobile apps: San Francisco-based Acompli Inc., which makes mobile-email applications, and Sunrise Atelier Inc., a New York-based startup behind the popular Sunrise mobile calendar application. Microsoft rebranded Acompli as Outlook for mobile. 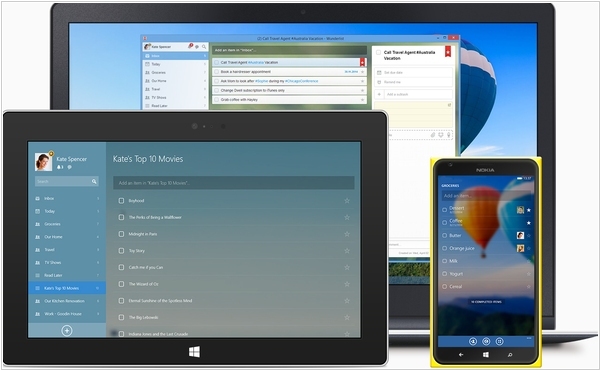 All three acquisitions point to an integration of Microsoft productivity tools, with an emphasis on mobile apps. Task management service Wunderlist added several new features during recent weeks. Thanks to its latest integrations, you can now get the big picture of all your to-dos with a due date, in your calendar of choice. The Wunderlist Calendar Feed Calendar Feed works with Google Calendar, Outlook Calendar and iCal. 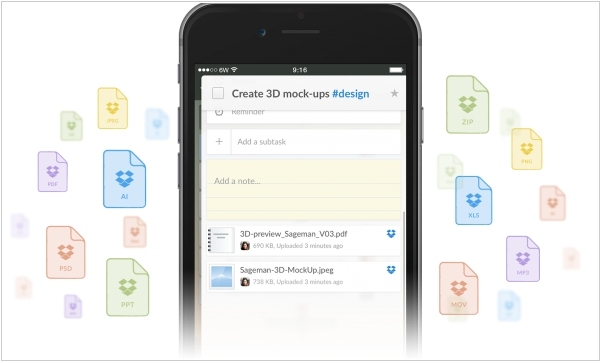 Another new useful feature - is Dropbox integration. Your Dropbox files can now sit right alongside your to-dos in Wunderlist, so any file you work on can now be kept in one place. 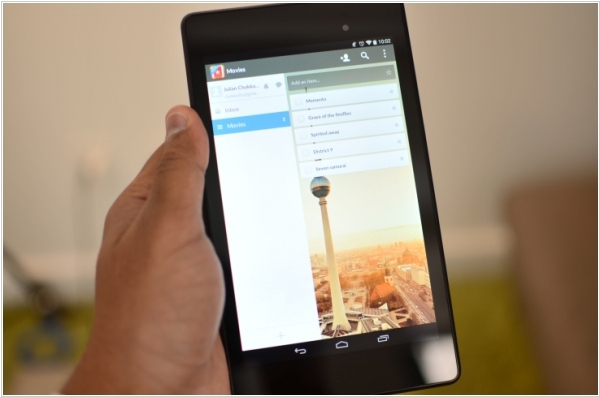 Popular to-do list app Wunderlist now wants to become the world’s home for lists. It made possible to share lists through social media (Twitter, Facebook and Google+), send as messages and embed them into webpages. When someone clicks on the link for a shared list, they are taken to a mini-site that allows importing into users’ Wunderlist apps; obviously this is partly intended to introduce a viral effect. 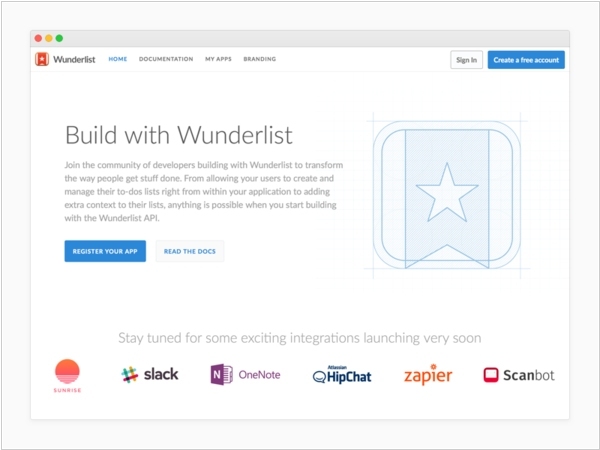 Besides Wunderlist is planning to release new API in the coming weeks in the hopes to connect with third party apps like Dropbox or Evernote. The second main new feature is real-time sync. Before, items could only refresh every 15 minutes or when prompted. Now the real time integration allows users to collaborate immediately with others on different lists. The personal productivity service Wunderlist 2 is now available on desktops and iOS devices as a native app. The biggest new feature is a new detail view. By double-clicking (or tapping) on a to-do item, a view moves in from the right that allows you to add lots of detail, like a due date, specific timed reminders, extra subtasks, or a full notes system. This is where much of Wunderlist 2's functionality is hidden. The original version was relatively simple, even as to-do apps go, and the extra details here make the app a very powerful piece of productivity software. The fact that all of this information is synced almost instantly in the cloud makes it even more helpful. You can set up some very complicated tasks and reminders on the desktop, and then browse through them or receive notifications while out and about on your mobile device.